Jodelle Ferland is creating buzz as Bree Tanner in Eclipse, you know, the #1 movie in the country that we've all seen at least twice now. We caught up with the 15-year-old, who confessed she's on Team Edward "most of the time," on the phone last month and discovered that not only did she read all the Twilight books back-to-back, but she signed on for the role of Bree without even reading the script! We also asked her about her plans for the Eclipse premiere black carpet. "Oh yeah, I have a dress ready," she told us before the premiere. "And I'm very excited for it. I always like to have a dress in my closet that I can just pull out in case of an emergency. I bought a dress a while ago and I'm pretty sure I don't have anything else I'll need a fancy dress for before the premiere so that could be what I'm wearing. It's a pretty light color." Not sure if the dress in the photo above is the light-colored dress she was talking about, it's light underneath the black lace, or if she switched dresses at the last minute. 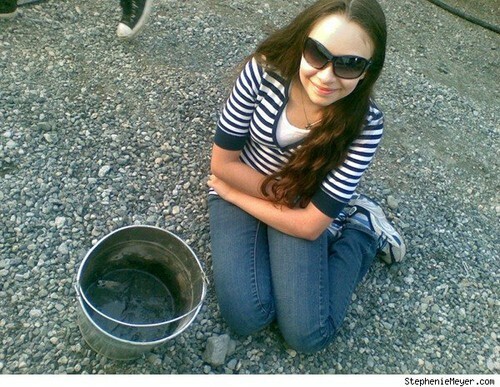 Keep reading for more of our Q&A with Jodelle and let us know what you thought of her Eclipse performance in the comments. Too bad she got killed in the movie, but maybe Summit will make a movie of The Short Second Life Of Bree Tanner (someone start an online petition). Is it true you didn't read the Eclipse script before you signed on to play Bree? Normally when I do movies I usually read the script before I do it, but before 'Eclipse' I had a good idea of what the script would be like because I read the boolks and there was just no way I was going to say no. As soon as I found out I got the part and started to prep for the movie, I was allowed to read it. It was the same as any other audition process but the audition normally I get something from the script to read, but for 'Eclipse' it was a scene from the book because they didn't want any of the script to get out at all so I had to read the Bree scene from the book in my audition. I was a bit worried about that, but there wasn't any problem. They all made me feel welcomed and I had a good time. I actually worked with Kristen Stewart [on The Messengers] before the whole 'Twilight' thing started so that was good that I knew somebody already. 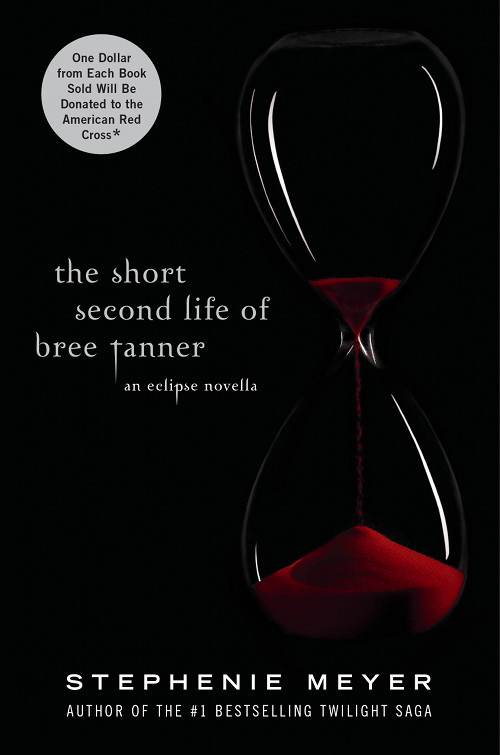 I actually knew about the book [The short second life of Bree Tanner] before I started filming. Right before I started filming 'Eclipse' I was allowed to read it so that I could understand Bree better because there's not a lot about her in the 'Eclipse' book so I was very lucky that I got to read that before anyone even knew it existed. I wasn't allowed to keep it. I had to go to the set and read it and they were supposed to destroy it. We were on location so we didn't have shredder or anything like that so we put it in a bucket and burnt it. It was very fun. We took a video and took a picture and sent it to Stephenie and she put the picture on her site. Äntligen! Efter nästan två års tystnad kommer Stephenie Meyer ut med en uppföljare i sin omåttligt populära Twilight-saga. Bree Tanners andra liv (The Short Second life of Bree Tanner) släpps i USA en minut över midnatt, amerikansk tid, lördagen den 5 juni – och precis samtidigt på svenska här i Sverige: klockan 06.01. -Vi är oerhört glada och stolta över att äntligen kunna presentera en ny bok av Stephenie Meyer. Hennes fans har längtat och väntat tålmodigt, säger Henny Holmqvist, Stephenie Meyers svenska förläggare på B. Wahlströms bokförlag. Bree Tanners andra liv berättar den fascinerande historien om den nyfödda vampyren Bree Tanner, som först dök upp i Ljudet av ditt hjärta. Vi får följa de nyfödda vampyrernas förberedelser och jakt på Bella Swan och familjen Cullen, deras möte – och det oförglömliga slutet.